For those healing symptoms of Lyme disease, we are able to offer the Lee Cowden Support Programme using the Nutramedix products. The Cowden Protocol For Lyme Diseases a ‘Do-It-Yourself’ Multifaceted Tried And True ​Treatment Protocol For Lyme Disease. It is a holistic, step-by-step, do-it-yourself Lyme disease treatment protocol developed by Dr. Lee Cowden, M.D. through Nutramedix. The protocol itself incorporates a multifaceted approach to treating chronic Lyme disease through powerful antimicrobials that work just as good, if not better, than doxycycline, by addressing the 3 anatomical forms of the Lyme bacteria (i.e., spirochetal, cyst-form, and L-form), co-infections, detoxification support for the brain, nervous system, liver, kidneys, blood, and lymphatic system, immune modulation, heavy metal removal, krebs cycle support and energy support due to magnesium deficiency, biofilm dissolvers, and the removal of excess sulfur. The duration of the protocol depends on the state of a person’s infection. Dr. Lee Cowden recommends staying with the protocol until a person feels better for 2 consecutive months — so most users of the protocol stay with it for 6 months. If the need to remain on the protocol exceeds 9 months, Dr. Lee Cowden recommends repeating months 7, 8, and 9 until a person feels well for 2 consecutive months. Each month is a specific programme of products which contain all the products required for the month of the Lee Cowden’s revised Support Program including a timetable and instructions for use. The packs are available at between 25-35% discount on the usual individual price of the products. The changes to Dr Cowden’s protocol have been instigated following his experiences with using the program. If you require further information on the changes to the protocol – please contact us. is a summary of the products by month and the price. The Cowden Support Program Instructions is the dosing schedule for the products used in the Cowden protocol. It clearly states on a day by day basis for 9 months when to start each product, each dosing, and the best time to reorder for the following month. Also, additional Nutramedix products not found in the core Cowden Protocol are recommended with dosages for other Lyme challenges such as sleep difficulties, adrenal support, etc. You can learn more about the Cowden Protocol for Lyme disease with its introductory video below. This video explains how the Cowden Support Program was developed, how it works, results of recent studies, and one Lyme patient’s success story. For those who who have concerns about the cost of the Cowden Support program, do get in touch to find out how we use the ASYRA to energetically test which of the products are most suitable and how we can also supply an energetic remedy to support each month of the protocol. 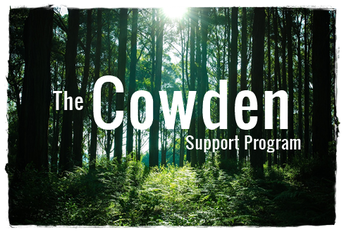 A Quick Guide to the Cowden Support Programme. BURBUR – gentle detoxifier may be useful during herxes. MAGNESlUM MALATE – Essential Trace mineral required by every cell in the body. SERRAPEPTASE– Proteolytic enzyme use to break down biofilms and dead tissue. TRACE MINERALS- The trace mineral blend from Equilibrium Health is a complex recipe of bio-energetic resonances imprinted into a solution of Ionic trace minerals from Great Salt Lake in Utah. High in Magnesium and low in sodium providing a balanced spectrum of over 70 trace minerals. I was diagnosed by one intern as having enough markers to indicate Lyme’s. A different intern said that she does not believe that I do; however, in the beginning of my problems, I experienced some sort of health event, which affected my whole body. I did take the antibiotic treatment for 3 months, but the whole body joint problems still persist. I have begun the samento, the Banderol (up to 15 drops each 2X, will continue to work up to the 30. I take a NSC 100 Beta Glucan, Liposomal Gluthione. Reading your protocol, should I add all that you listed, or does the above supplements address my needs currently. On a fixed monthly income, so need to be cautious with spending, but would also love to rid my body of that disease, if indeed, I have it. The Rheumatologist took x-rays of all joints and pronounced that I had osteo-arthritis over my whole body. The prescription meds he wanted me to take had deadly side effects and I chose to not go that directly right now. Thank you very much.